1116 SEN presenter and host, Francis Leach, has decided to move on from hosting the Afternoon timeslot at the conclusion of this year. The popular broadcaster, journalist and writer will still be able to be heard across 1116 SEN’s various programs and platforms in 2018 as he continues to educate and inform listeners as the stations resident A-League, Football and EPL expert. He will also host a new, weekly A-League program to air on Sunday evenings providing a comprehensive review and discussion of all matches locally and nationally. 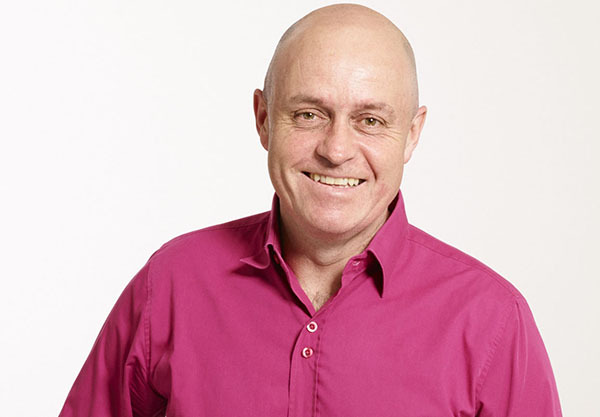 Commencing with the station in his first stint as Afternoons host in 2004 and returning in 2007 to co-host the successful show, The Run Home with David Schwarz, followed by periods hosting the Breakfast and Afternoon timeslots, Francis has developed many fans that follow him both on-air and via social media. “Francis’ expert knowledge in football circles is unparalleled and we are thrilled that we have still been able to secure his invaluable round ball insight and analysis in 2018,” said Cathy Thomas, General Manager of Radio. Francis Leach commented on the change, “I’ve had a brilliant time on the air this year but it’s time for a new challenge. I look forward to popping up on the radio next year and talking about the sports we all love," said Leach. Francis will continue hosting the Afternoon timeslot until normal programming concludes for the year on 8 December. The new Afternoon show host will be announced in coming days.